I needed some jars for my paintbrushes and here they are. 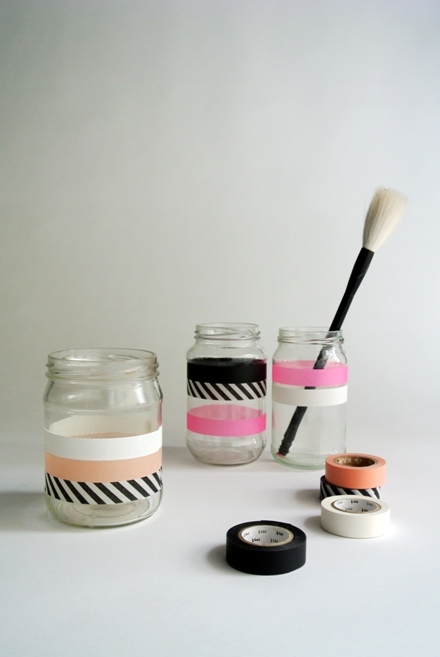 As you can see, we eat a lot of jam and now the old jars can have a new life and look with some Japanese masking tape. Love the pictures - the thick black and white is one of my favorite!